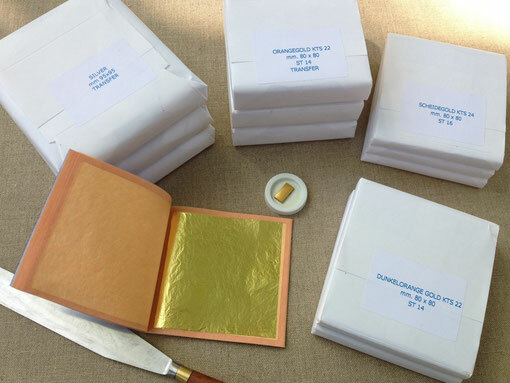 Great selection of gold leaf (loose and transfer) in booklets of 25 sheets and complete books of 300 sheets. 12 to 24 ct. Furthermore we offer shell gold, 24 ct. in pans, as well as gilding accessories.